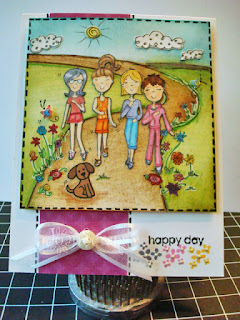 I am sharing today with you a card I made using a Broken Box Stock digital image named Walking Buddies. I worked this time with the black & white version because I wanted to create a sponged scene. 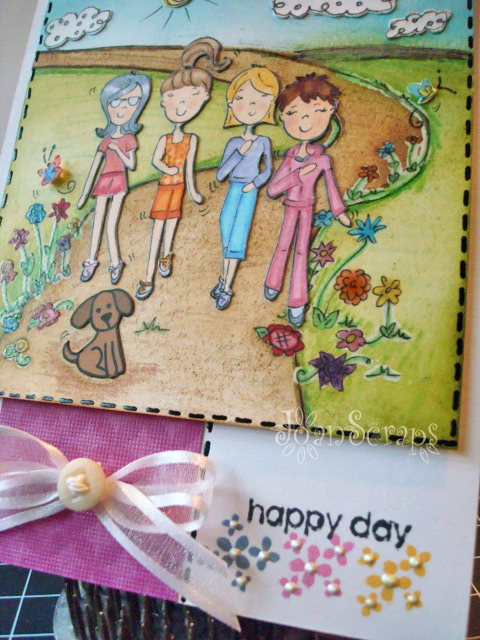 I am submitting this card to the sketch #124 challenge at Operation Write Home and to the Crafty Month celebration Challenge day #16 of Kim Kesti. 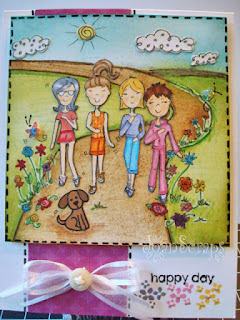 For my card I am using a new digital stamp image and some old cardstock, ribbon and button. ready to add a few details to add some texture and dimension. Finally I colored the girls, paper pieced the images and glued them to my background. I hope you have a great day tomorrow. Now I am off to watch some TV and have dinner with my hubby. Hope you like my card and that my creative process has some value to yours. Joan, quedó fabulosa. Y estoy de acuerdo me encantan mas los digitales. Fabulosa!!! gracias por el tuto! Definitivamente hermosa. Gracias por mostrar el proceso. 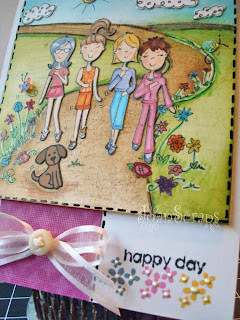 What a fabulous card - great masking! Wow! What a fabulous scene! I love the colours you used, and the sponging technique is so effective here. 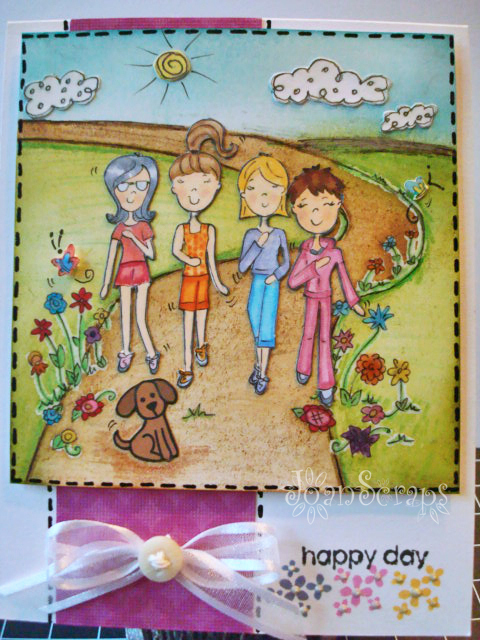 I love the ladies all getting their excercise together, a fab card!